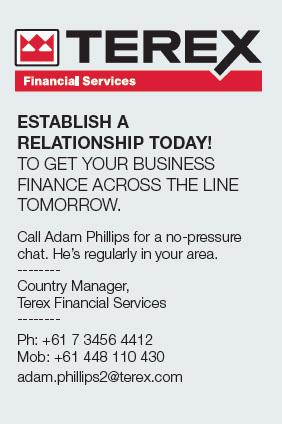 With the market set to rebound in many segments in 2014, there has never been a better time than the present to get your financial structure in place with Terex Financial SERVICES. Take advantage of low interest rates and get ahead of the game by establishing an account for your business with Terex Financial Services. A Genie customer can have pre-approval for a line of credit and then access funds as and when required. While competitors are seeking funds and completing the paperwork, you can quickly win new business and deliver Genie® equipment to your customers. The process to establish a line of credit begins with a phone call to Adam Phillips. He can then outline the steps involved to set up an account with Terex Financial Services. It’s that simple.